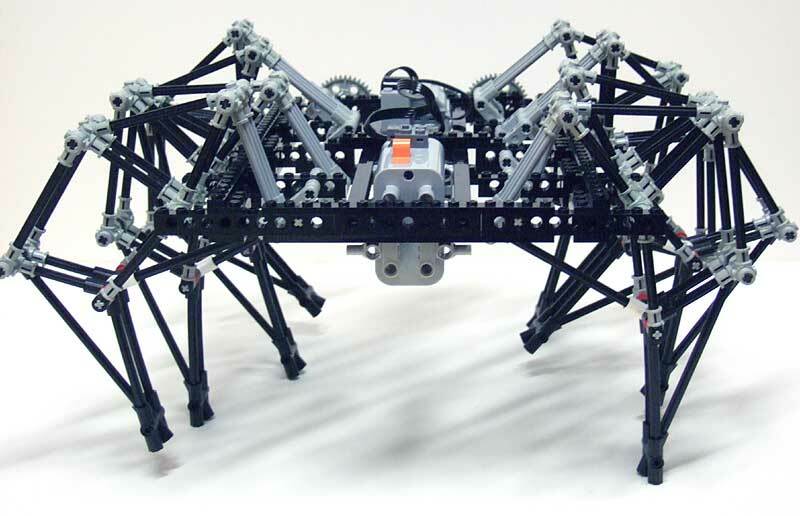 A lot about Kinetic Sculptures, based on the developments from Theo Jansen, and LEGO TECHNIC implementations of his models. Theo Jansen is a Dutch artist born in 1948 and a Kinetic Sculptor. He builds large works which resemble skeletons of animals and are able to walk using the wind, on the beaches of the Netherlands. His animated works (almost hypnotic to watch) are a fusion of art and engineering. Read the interview with the artist who believes these "animals" may live in the beaches after is dead. Below the most known TECHNIC implementation by Chris Magno (on the left), together with a magnificent BMW commercial with Theo's original (on the right). Chris presented his creation, last October at LUGNET, and have several photos at his Brickshelf folder with instructions, for his implementation of TJ's leg. Philo made his own implementation (see the video from his website) and someone tried to make also one that moves with the wind, but well... it moves however can't walk for itself. If you look for, certainly will find more implementations like these, existing in the net. From left to right: Chris Magno's TJ walker; Philo's TJ walker; The wind moving version (once the author doesn't have parts enough, it has legs at one side and wheels on the other). From left to right: Simulation CGI with Softimage|3D and Adobe After Effects; Mechanism simulation made with The Geometer's Sketchpad 4; An horse variation from ClockworkRobot.com. The flatten and wider the curve described by tip of the leg, the better it would behave. At his website, Philo described how he simulated it using Euklides 2.02 geometry freeware. On the other way you can try it yourself easily, through the controls on the interactive flash animation below. And finally some other videos of Theo Jansen's creations. From left to right: Animaris Rhinoceros; Strandbeest; A Theo Jansen lecture. MY JAW DROPPED ON THE FLOOR! AND I CAN'T PUSH IT BACK UP! I had no idea there were such things in the real world! Happy easter by the way. 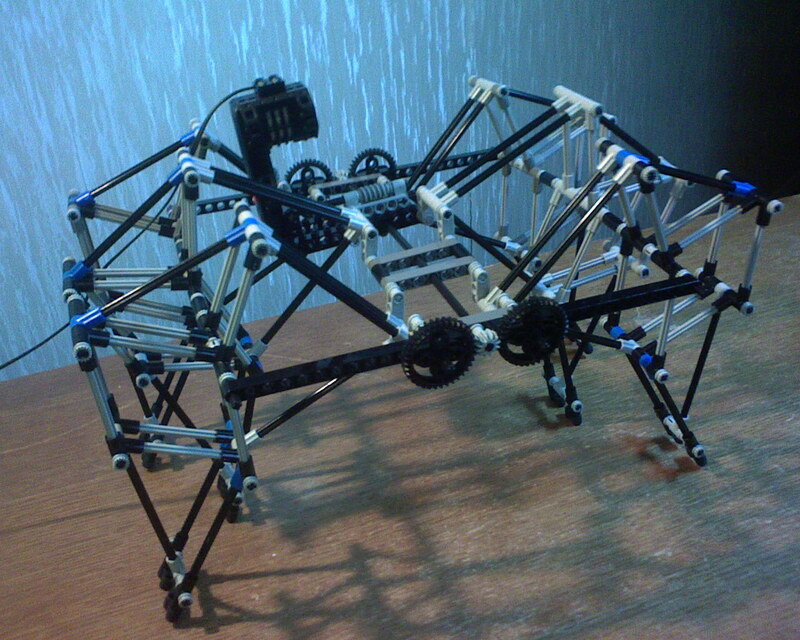 You can see my Jansen lego technic walker with 16 legs, inspired by philohome website. have visited also your TECHNIC blog, but didn't new your Theo Jansen model. Quite impressive due to the huge amount of legs (like the original which also has a large number of them). Great work! Theo Jansen wrote on his website about the perfect proportions to make the legs. Thats how he gets his "beasts" to move smoothly.